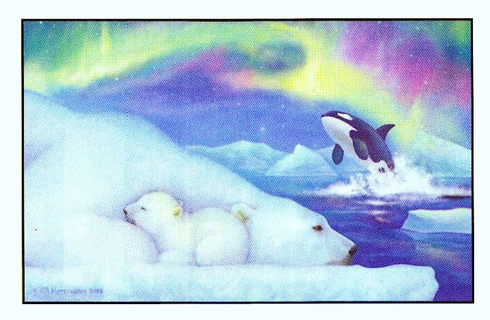 Somewhere in Antartica a mother polar bear lies awake listening to the sound of orca's playing in the water-while her baby polar bear sleeps. Enjoy a cozy cup of hot chocolate while recreating this magical scene of moterly love-All 100 pieces of winter wonderland! This puzzle measures 10"X16". This puzzle is Eco-Friendly and printed with Soy-Based Inks on Recycled Board. Proudly made in the USA.